We work hard to make sure every customer is satisfied with our work. It's customers like these ones that make it all worthwhile. Check out some of the latest projects we completed. 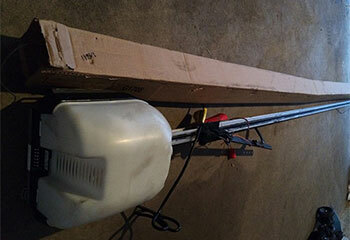 Customer Issue: The spring on his overhead door broke and he could not open it. Time was of the essence, so to speak, as the customer had an important appointment later that day and needed to get their car out. Our Solution: Our team arrived at the scene and immediately set to work securing the door on ladders and carefully removing the broken torsion spring. 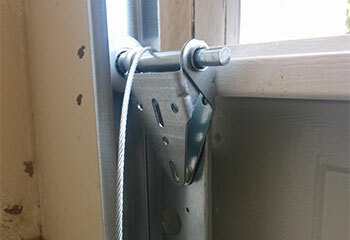 We then installed the new spring, adjusted its tension so that it matched the weight of the door, and tested the system's functionality to ensure it could work with no issues again. Customer Issue: Lift cable came off the drum. Our Solution: The problematic cable was severely frayed, so we immediately removed it and fitted the door with a new one. We did the same with the second unit, as its condition wasn't great either. 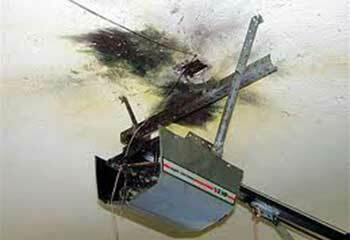 Customer Issue: Burnt Electrical Wires. 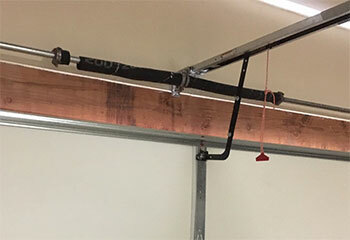 Our Solution: After inspecting this customer’s garage door and assessing its condition, our team was able to diagnose the issue as a problem with the opener's circuit board. 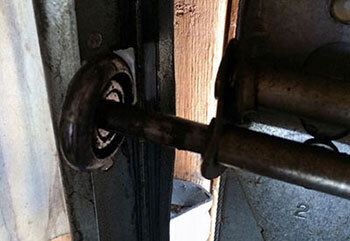 After replacing a couple of burnt wires, our technicians were able to get this customer's door working again. Customer Issue: New Opener Installation. Our Solution: Our customer had bought a new Amarr 860 Smart Wi-Fi garage door opener, but needed professional assistance to ensure it was installed correctly. Our team fitted the new unit quickly, and then thoroughly tested it to make sure it worked perfectly before we left. Customer Issue: Worn Door Rollers. Our Solution: This customer’s door was moving jerkily and noisily, and our team was able to trace the issue back to a defective set of rollers. With a new set quickly fitted and installed, the door returned to its smooth and silent operation.